Summer is right around the corner! That means Vacation Bible Schools across the nation will be gearing up in the coming months. If you are involved in planning your church’s VBS, you probably feel the weight of preparing for this monumental event. After all, you want it to be a fun, memorable, and impactful week for all who attend. 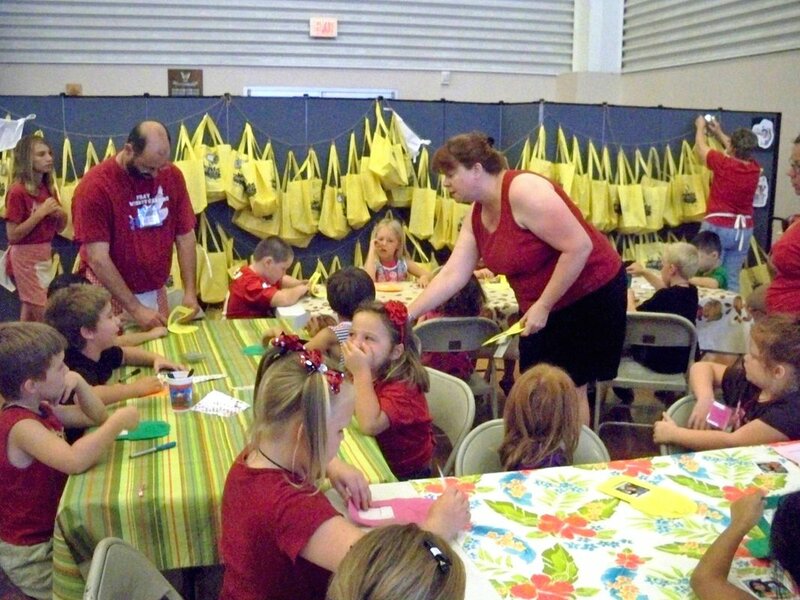 Well, to make your preparation a bit easier, here are eight tips for a successful VBS. Any good VBS has a fun theme! Pick a theme that kids will love. Some fun new VBS themes for 2017 include Under the Sea, Superhero, Camp Courage and Luau. If you have decorations sitting in storage from years past, don’t be afraid to pull those out and incorporate them if they fit with your theme. It’ll save you money and time. Having other people’s help during VBS is vital to a successful VBS (and your sanity). Create a list of the week’s activities and note how many volunteers you would need for each. How do you get said volunteers? Post a sign-up sheet in your church lobby, send out emails to previous volunteers, and/or make an announcement in the church. Even if people can’t commit to volunteering for the entire week, they may be able to volunteer for a day or two. 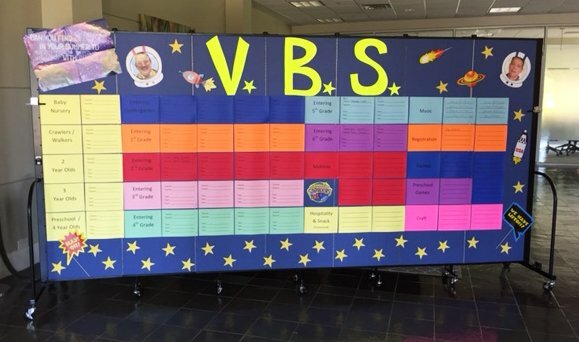 A weeklong event such as VBS has a lot of moving parts. Make sure you have all events planned out to the minute to make sure the days stay on schedule and to avoid the chaos of the unstructured time. Post this schedule (or a simplified version of it) on your website for parents to view. This is a huge step. Promotion is vital to the VBS planning process and should start about 1-2 months ahead of your VBS date. Ideas for promotion include sending postcards locally, emailing past attendees, hanging posters in local restaurants or libraries, and—of course—using social media platforms like Facebook and Instagram to get the word out. Gather all your decorations and set them up as early as possible. Determine where every activity will take place. Ensure you have enough chairs, tables, etc. Need extra space to display decorations? Or a way to make an auditorium feel smaller? Check out our portable room dividers. During the VBS event, snap photos of the decorations, stage, events, games and Bible story time. Post some of these to social media for some extra promotion and to share with curious parents what their kids are up to. You will also find these photographs useful in your promotion of next year’s VBS. Tip: Use a high-quality camera (not a smartphone), as it will give you higher quality images to properly represent your event. You’ve spent months preparing for VBS. Celebrate the start of it with a kickoff party on your church lawn the day before VBS starts! Open the event to the community, have a catered picnic meal and plan fun lawn games. Not only does this create a fun start to VBS, but it also invites parents from the community to your church—perhaps for the first time. Once VBS is over, make sure to send follow-up communications to parents of children who attended VBS for the first time as well as parents of children who made a decision to follow Christ. This is a great way to keep parents in the loop as well as continue caring for VBS attendees past the actual event.